Can you feel it?! Fall is coming! Perfect weather, changing leaves, pumpkin carving, sweater season, apple cider, and pumpkin bread are a few of my favorite things about fall. 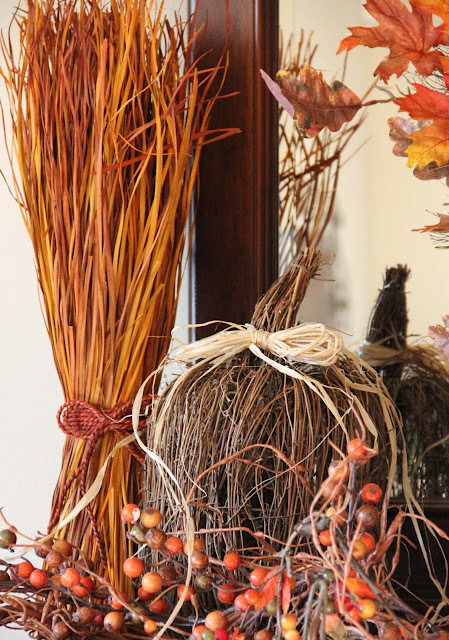 And to celebrate my favorite season, I’ve rounded up some great fall decorating ideas for you. Enjoy! 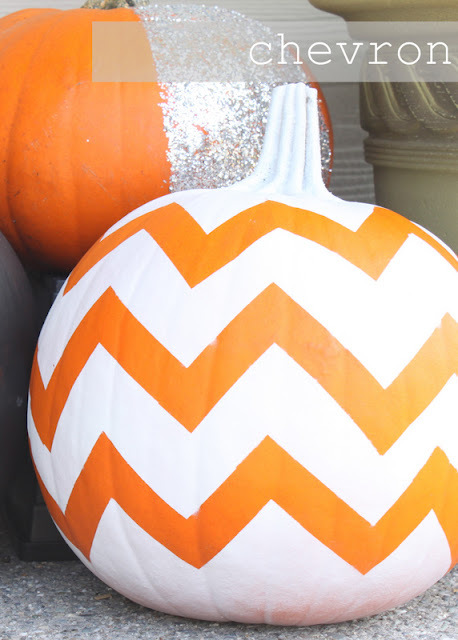 Tip – She bought cheap plastic pumpkins and spray painted them white. Ah mercury glass, how I love you. 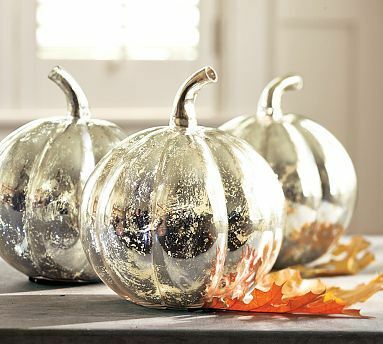 The creator’s tip was to spray paint pumpkins white first and then spray with looking glass paint. I think I may have to try this out! I love the simple, yet elegant look of the berries and it doesn’t scream Halloween, so it could stay up all season. Chevron makes for a fun pumpkin pattern. 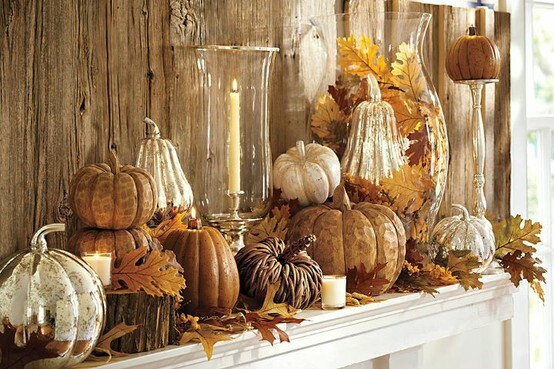 Little clusters of leaves, candles, and pumpkins make this table look full. 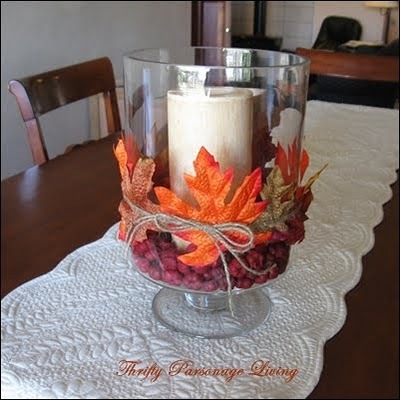 Some leaves tied with twine and berries make for an easy way to decorate a glass hurricane. Vary the height of your pumpkins by displaying them in pots. 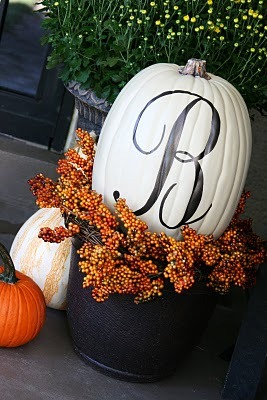 Love the idea of adding a monogram to your pumpkin or address number for the porch. A bunch of fall wheat grass adds height to your display. Pile on the pumpkins. Think of varying the colors and finishes. 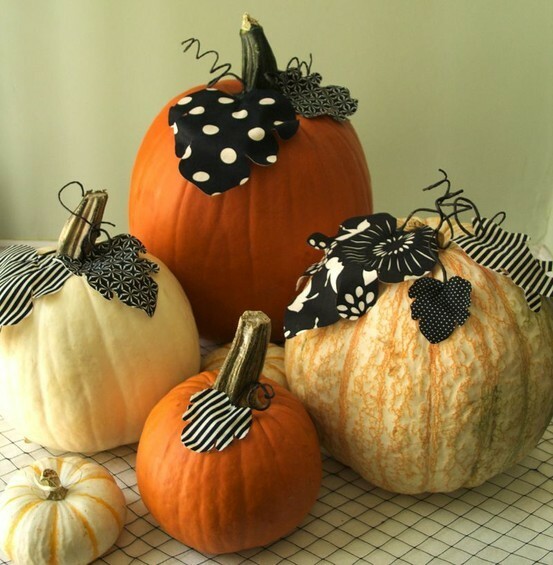 Some wire and fabric leaves add some cuteness to these pumpkins. With a bow and a few fall florals, you can easily dress up a lantern. 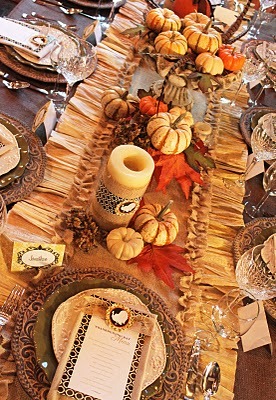 I love the idea of putting several little pumpkins on candlesticks. 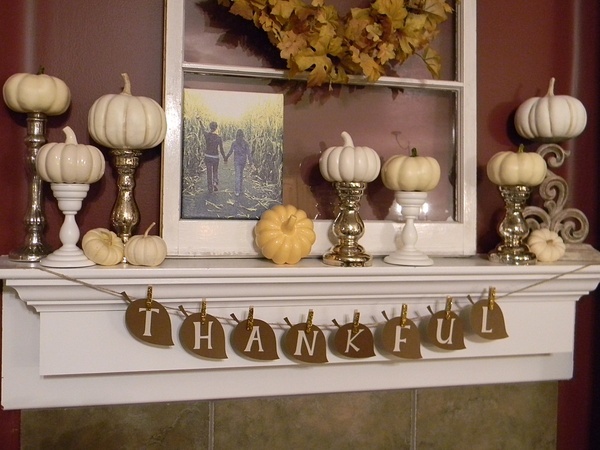 Thank you for including my mantel in your fall decorating ideas round-up. Have a wonderful day! I LOVE that first mantelscape. Cute ideas! 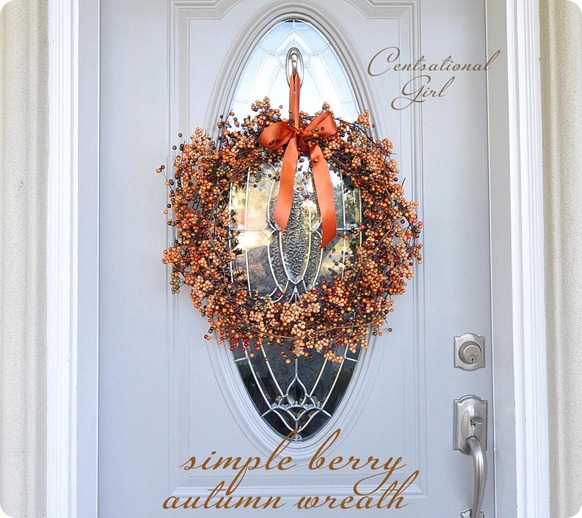 Beautiful and elegant, yet casual fall decorating and what creative ideas! 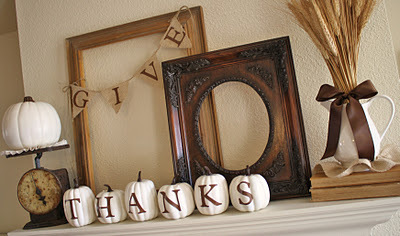 Thank you for the inspirations to decorate for Thanksgiving! I’ll bookmark your blog and test once more here frequently. I am relatively sure I’ll be told many new stuff right right here! Thank you! I’m glad you find it helpful! Thank you so much for featuring my monogram pumpkin! Hi, love your blog and taste! 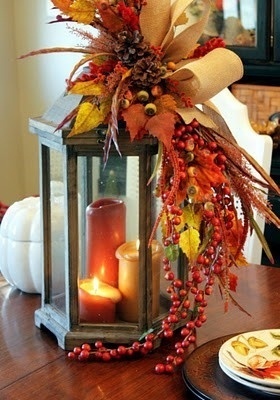 I am in love with the fall lantern swag you have pictured above and am wondering if you can possibly tell me who I can contact about having one made for me? Thanks! Thanks for visiting my blog and I’m glad you like it! I believe the one I pictured above is one someone made, but you might be able to find something similar, or at least the supplies to make one, at your local craft store. Hope that helps!